Vacations are great. You know what makes them more great? You don’t have to answer that. Because I’m only looking for a single answer and I don’t want to tell you you’re wrong if you don’t say, “When they don’t cost a ton of money.” So now that I messed up the first paragraph, let’s just move along to the second. I love traveling almost as much as I love saving money. So putting those things together is basically the best thing ever. 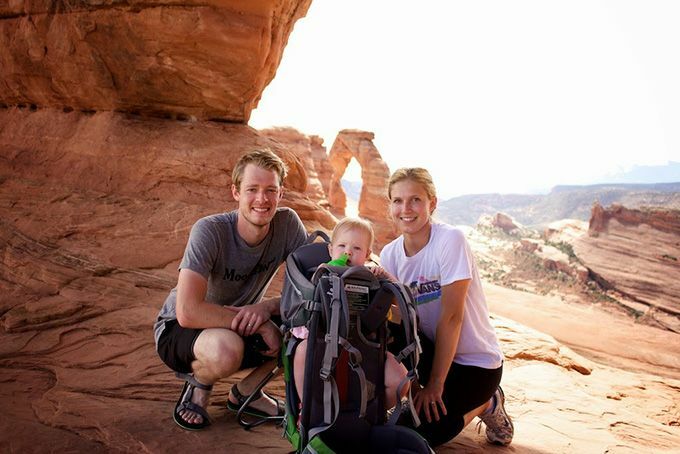 Over the years, I’ve done an alright job learning how to get pretty good deals on vacations — sometimes amazing deals. 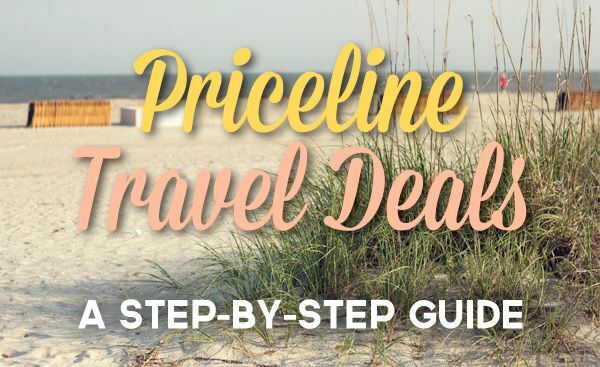 I’ll dissect my travel deal search process using our most recent trip to Hilton Head and how I snagged a $250/nt, 4* hotel for $65/nt using Priceline Negotiator. This post is going to be long and it’s going to be dry. But you’re going to be drinking up delicious money-saving-travel knowledge from a fire hose, so open wide! This was going to be our inaugural “vacation” with Baby Girl, so we decided we’d keep it within a few hours of home. We narrowed our options to the Outer Banks and Hilton Head. After doing a few basic hotel and rental searches in both areas, I found that our dollar would go farther at Hilton Head. And since Joanna had vacationed there growing up, I thought it’d be nice to go somewhere with a little familiarity. So we’re going to Hilton Head — awesome! Now it’s time to explore the lay of the land: good areas, not-so-good areas, proximity to nearby attractions (like the beach), range of available hotels, etc. This is a crucial step of the research phase. If you’re planning on a beach vacation, you don’t want to bid on hotels that aren’t near/on the beach. You can obviously do some of this research during the bidding process, but I like to familiarize myself before I put my game face on, which looks sorta like Chuck Norris. Having already done a price comparison of Hilton Head vs. Outer Banks, I knew what the general price range was — and it wasn’t very cheap using a normal search. That’s where Hotwire and Priceline’s new Express Deals come in. These sites work off a similar model to Name Your Own Price. Hotels make money when people are in their hotels — even if they’re not paying the standard rate. So to fill these rooms, hotels will offer deeply discounted rates with the caveat being that they don’t disclose the name of their hotel until AFTER the room is booked. Fair enough. When I pulled up a search on these sites, I noticed a 4* hotel for $90 on Hotwire and $80 on Priceline. Awesome. I was open to anything above 3* for this trip, so a 4* that was cheaper than most 3* definitely looked interesting. Time to get sneaky. For this step, I’ve always relied on BetterBidding, but I recently found another site called Bidding for Travel that’s similar. Both of these forums provide valuable information and resources for making more informed bids. Better said, they’ll help you figure out what “secret” hotels you might be bidding on or booking immediately in the case of Hotwire/Express Deals. Since I had already found a really good deal, I wanted to figure out which hotel it was and if it was available on Name Your Own Price (where I’d be able to snag it even cheaper). On Hotwire and Express Deals, they list some of the hotel’s amenities. These are the key to deducing which hotel you’re looking at. I clicked on over to the South Carolina Hotwire forum and started comparing amenities to the hotels listed. Beachfront, Oceanfront, Spa, etc. Any one of these amenities by itself won’t reveal the hotel. But combined, I realized that the only hotel that listed the combination of amenities shown on Hotwire was the Westin. I spent a little time researching the Westin on TripAdvisor and based on the reviews, it appeared freaking awesome. Right on the beach, recently renovated, family friendly. Now that I knew the specific hotel, I looked to see if it was a Name Your Own Price hotel. 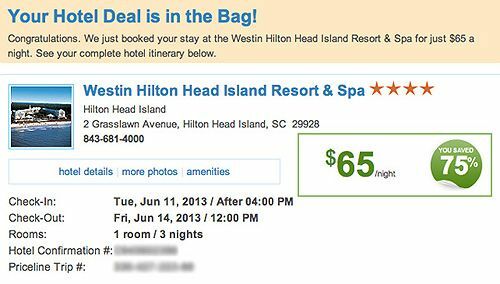 I visited the South Carolina Priceline forum, scrolled down to “Hilton Head Island” and sure enough, the Westin was one of the 4*/Resort hotel options. It’s game time. Alright, to recap, we’ve figured out where to vacation, standard rates, secret rates, and figured out that the Westin was offering a great deal and is a Name Your Own Price hotel. Nothing to it, right? Now it’s time to actually make it happen. I’ll preface this to say there’s no perfect formula for bidding. Sometimes it works, sometimes it doesn’t. But it’s always exciting. BOOOOOOOOOOOOOOOOMMM!!!!!!!!!! GIVE ME SOME FREAKING SKIN, CAPTAIN KIRK! When I pulled up the hotel this week to analyze the deal, a standard room rate was listed at $262. Yeah, no. So I’d say I got a pretty good deal. And having just gotten back from the resort last week, I can say it lived up to the 4* billing. Deals are totally random. Remember, these hotels are simply trying to fill beds. If their beds are filled or it’s a holiday/peak-season, they probably don’t need to rely on secret deals. So just because it’s there today doesn’t mean it’ll be there tomorrow. This strategy generally works best in vacation locales as there are more participating hotels. You’re only allowed one bid for the same search criteria every 24 hours. For an easy way to get an extra bid(s), add another zone that doesn’t have that star quality. So if you’re bidding on a 4* hotel in a single zone, add another zone that only has 1* and 2* hotels, since those won’t be chosen AND it qualifies you for a new bid. You can also downgrade hotel quality, which will still include higher quality hotels. But realize that your bid might win a lower quality hotel instead. There’s nothing wrong with staying at 1* and 2* hotels. In this particular instance, we wanted a nice hotel on the beach, but we’ve stayed at many a $25/night hotel during cross-country road trips. If you have certain travel needs (i.e. Fido is coming, smoking room, etc. ), Negotiator might not be best option as those needs can’t always bet met. All sales are FINAL. No take backs, no oops, no nothing. You bid, you win, you pay. That’s that. Holy long post, Batman! If you’re still awake, I congratulate you. And I wish you the best of luck in snagging some sweet travel deals. If you’re asleep, and your concerned coworker is reading this sentence, you should know that everything is fine, but your unconscious friend told me to tell you to pour cold water down their pants. Thanks. Thanks for the Awesome tips! I will be sure to use these next vacation. Our vacation budget has to stretch a lot further these days but I don’t want to loose quality. We’ve got some good deals in Chicago and LA using Priceline negotiator but not nearly as good as yours! This is one of the better deals we’ve gotten, but we always save a good amount of money compared to standard rate. Better yet, we save on nicer accommodations without having to guess which hotel we’re bidding on, thanks to the resources I listed in the post. I have some things to add: 1) I typically am able to get BETTER deals than those listed on the “sneaky” websites, so don’t be too reliant on those! 2) Expand-your-search is a really important feature, particularly in big cities like NYC. I tend to low-ball the first bid, and then add $5 or $10 and expand the neighborhoods that I’m willing to stay in. 3) Waiting to bid at a later date is a good method if you can’t get the deal that you want your first time around. I’ve been surprised at how many people are afraid of Priceline. They’ll say, “I don’t want to get stuck staying out by the airport!” They have no concept that your bids are restricted to the areas that you approve! Great tips. Especially the expand-your-search. If it weren’t for that feature, I’d have lost out on many a Vegas hotel. And since hotels get more desperate to fill rooms days leading up vacancies, if you can wait/feel comfortable holding off until the last few days, I have seen better deals crop up then. I remember being scared out of my mind the first time I did Priceline. But we also had a budget of practically nothing, so we had nothing to lose. And while there’s still an element of surprise, I can bid with total confidence most of the time. I tend to not use priceline anymore. I used to use it alot, but now I prefer the ability to earn points for my stays and many times can get a deal just about as good by simply calling the hotel and talking to a manager. It doesn’t always work but it can be solid. I also prefer dealing with the hotel directly in case there is a problem. Priceline can be a very valuable tool, and can save you a ton of money, but their definition of a 4 star is a little different than mine. Talking to a manager? Interesting. I might have to ask you to share your call script/tips. My biggest reservation with Priceline is definitely the fine print and hoping that hotels are able to honor requests like bed choice. As far as the star discrepancy, I always double-check the hotel at TripAdvisor, because I have seen some 4* that felt more like 2.5*. TripAdvisor usually helps clear that up. Thank you for the awesome tips/tricks! Looking forward to the next vacation and being able to utilize these! You’re most welcome. Best of luck, and let us know how it goes! 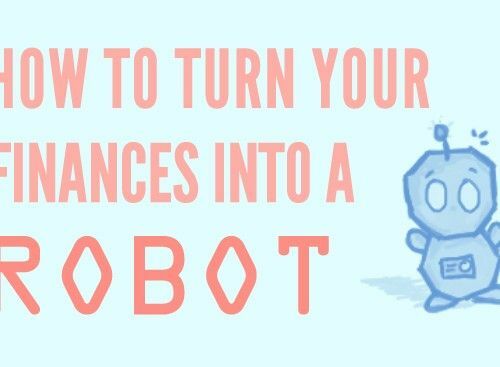 Awesome, thanks for the step-by-step guide. I’ve been itching to try bidding on hotels, but B’s wary of paying for a hotel without knowing its name so step 4 will come in handy. That was definitely my biggest fear initially. Since using the resources and tactics in step 4, I don’t think I’ve ever misidentified a hotel or hotels I was bidding on. That’s a win in my book. I’m going to have to try it out one day. I’ve used places like Priceline and Hotwire in the past, but I never really went that deep into it. I will certainly dedicate a little bit more time next time. And bookmark this post so I can follow your detailed instructions. Half the reason we travel is so that I can play hardball with Priceline. I wish I was joking. Thanks for the awesome tips! I’ve never bid on hotels before, so I’ll have to try this next time. Do y’all have any good tips on bidding for plane tickets? It seems a little riskier since they can book you any time of the day (you risk losing a whole day of vacation, basically). We’re looking into doing that from DC to LA this summer, but I’m a little nervous about it! You know, we’ve never done plane tickets. We usually book plane tickets much further in advance AND we use points/miles from our credit cards. I’ve definitely been meaning to try it on a spur of the moment trip, but I’d want to do some more research before jumping in. If you try it out, let me know how it goes. And likewise, if we get around to giving it a spin, I’ll post the results here. Fantastic post! Looking forward to using these tips next time I go on vacation! Wow, this is a great post. I’ve had some pretty good luck on Priceline in the past. I think the “name your own price” option is fantastic and great for everyone involved. I’ll have to check out the other sites you listed above. Nice work on getting a great deal! Name Your Own Price is especially fantastic when you eliminate the guesswork out of what hotel you’re bidding on. 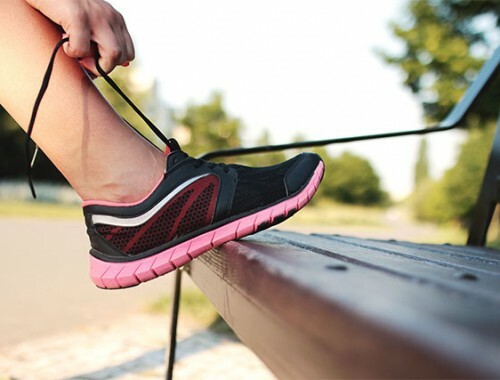 The resources listed in the post are great for doing just that. One way to ensure you’re happy with the hotel option is to use a prepaid visa card that has $0 on it. The negotiator will tell you what hotel it picks, but will tell you it failed to charge your card. Then you can go in an change your card to your real one and execute the same bid and transaction now knowing what place you will get. Woahhh. That’s awesome, Matt! Gotta get my hands on a prepaid Visa and try this out. Thanks for the sneaky suggestion. Sweet tips. I need to use these for our Savannah trip. I hope to use these to score an awesome deal. One thing to be aware of with these “deals” is that you must read the fine print. It often has a clause in it that states that your room reservation is not guaranteed even though it is a non-changeable, non-refundable transaction. I personally ran into this issue when I used the Priceline Negotiator tool to find a cheap hotel for a business-related trip to Nashville (actually, Brentwood which is a southern suburb of Nashville). Turns out, unbeknownst to me at the time I was booking, it was the week of the CMTs. Yeah, so my hotel room was sold to a person willing to pay full price (joker probably used Johnny’s $20 bill trick) and I was given the boot. They called me while I was en route to tell me that I no longer had a place to stay when I arrived there that evening. Priceline was going to refund my money and find me another room, but made sure I knew that this was purely a courtesy because I had raised so much hell over it, and that if I had read the fine print I’d know that my reservation wasn’t actually guaranteed and that they had no responsibility to find me alternate accommodations. Fun stuff, not. Needless to say, the hotel they put me in wasn’t crawling with roaches or anything, but it was nowhere near as nice as what I had booked (easily 2*s less), though I did stay for free. Caveat emptor my friends. Great point, Dacia. Priceline actually includes a ton of nasty fine print. But in the dozen or so times that I’ve used the Name Your Own Price feature, I’ve never had a problem with room availability or bed preferences, hence my failure to mention your important caution. I’m glad to hear that it (mostly) worked out in the end, but that’s still a pretty lame way to start a trip. I would have definitely raised a stink. Can’t complain about free lodging for a little tongue lashing. I love name your price option through Priceline. My hubby and I’ve been using this for years. We used it to visit New York, Atlantic City, VA beach and etc. Thanks for step by step info with details. The other thing that’s great about Name Your Own Price is that in addition to great deals in big cities, we’ve also scored great deals on smaller towns on cross-country road trips. Hotels just want people in beds, regardless of where the hotels are located. Sorry for the delay, Morgan! Things got wild and crazy and busy up in here. But to answer your question for future trips (assuming you’re done with your Seattle trip planning), I usually find the best deals for car rentals on Priceline using Name Your Own Price. It’s actually very similar to the steps found above. BetterBidding and a few other sites have forums specifically for car rentals and fellow travelers will post the rates that they recently snagged, giving you an idea of how low to bid and what to expect. Fantastic information, thanks so much for sharing. Our family is looking at vacationing at HH for the first time at the recommendation of friends and I’m wondering how far in advance and in what month did you “Name Your Price” and book the hotel? We took this trip in June and booked it… two nights before. That being said, many deals can’t be replicated since their prices are merely a reflection of how full their rooms are. We happened to bid on a great week with a great hotel. That’s a good question, Tim; I was wondering the same thing. I recently bought a 4* hotel room in New Orleans for $74 a night through Priceline Express Deals. Before purchasing, I had bid $60 for the same star level and area with no success. I’ve had similar results my last few times. So recently I’ve been using Priceline Express Deals, Hotwire, or Expedia’s Unpublished Rates (they all work the same). Great site and info, by the way . . . I just found this place! When I’ve hit a Name Your Own Price hotel that appeared to be the same listed in the Express deals, it’s typically been in that sweet spot, Tim. But like Jeff mentioned, I’ve also bid in that range and not had success. Logic would say that a hotel that opts into Priceline’s NYOP program would also be a part of their Express program, but looking through BetterBidding’s lists, that’s not always the case. Hi Guys, sorry for deviating. Please can anyone furnish me with how GDS companies share commission with suppliers? What is the sharing formula? Percentage wise. Will really appreciate it if I get a good answer to this. Johnny, thank you for your blog! My family can totally relate with your budget struggles. (My husband was laid off from a middle management job in 2009, just after our first child was born and I was home mothering him.) He’s since opened his own business and I went back to work. Meanwhile, we’ve been counting every penny. 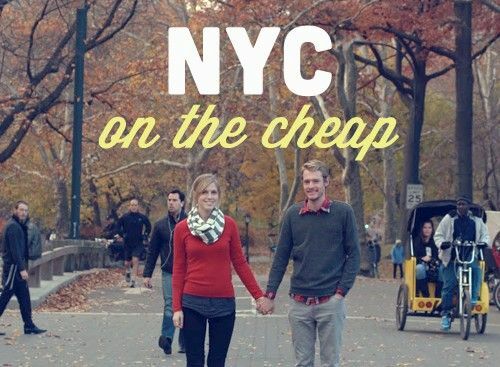 For years, I’ve been using an easy strategy for getting the best prices on Priceline. I explain it here: http://mammaworks.blogspot.com/2014/08/easy-strategy-for-best-hotel-prices-on.html. I hope this information can save you even more cash! Cheers. I am so glad I came across your page! I am visiting Boston in about 6 days and I will be using the NYOP tool on price line (using both for the first time, first trip ever). Hoping to get a great deal but a little anxious! Thanks for the tips! Nice tip about adding a zone that doesn’t include the star-rating you’re after to get an extra bid; I hadn’t thought about that. I got a priceline “deal” this weekend. Nothing like your Westin score, but did save $20/night over the best pre-paid deal i could find. And yeah, ‘bidding’ is kind of fun. Awesome! We’ll have to look into that one for our next vacation.